Lt. Gov. 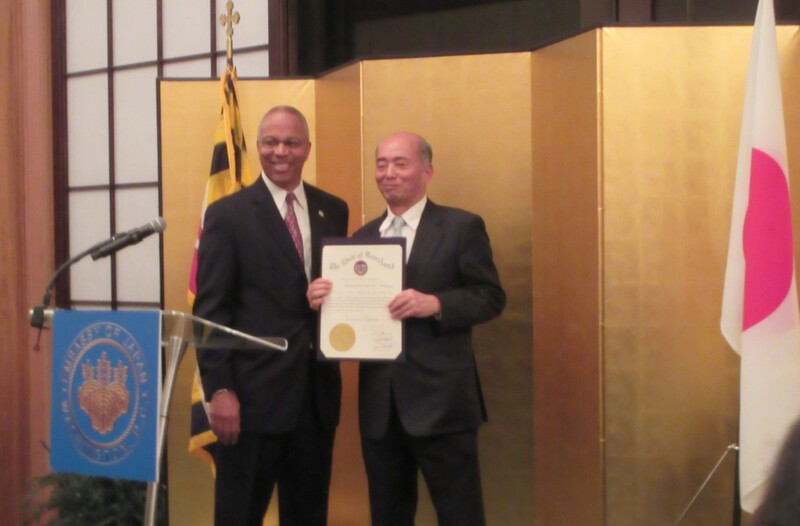 Boyd Rutherford presents a governor's citation to Japanese Ambassador Kenichiro Sasae at the envoy's residence Monday night. Del. Bob Long of Dundalk, right, discusses the maglev train project with Japanese representatives next to a model of the high-speed train at the home of Japan’s ambassador.